Often, when we consider the word adventure, we think of far off places; places yet to be explored or discovered. Rarely, do we consider that we, in Australia, live in one of the most beautiful and unique places on the planet. However, Australia offers many opportunities for adventure. We have oceans, desert, rainforests, and vast landscapes, often untouched by people. Recently, I was privileged to join an adventure, here in our own backyard. 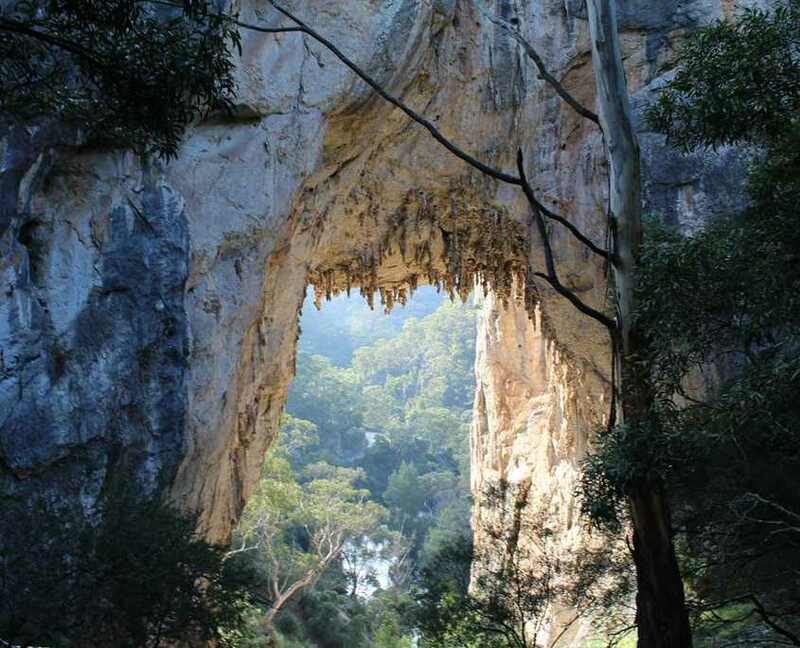 The adventure, dubbed the 6 Foot Track Trek, runs for 46 kilometres from the Jenolan Caves, through to Katoomba, took place in the historic Blue Mountain’s, located one and a half hours from Sydney CBD, which makes it fairly accessible to anyone interested in tackling it. 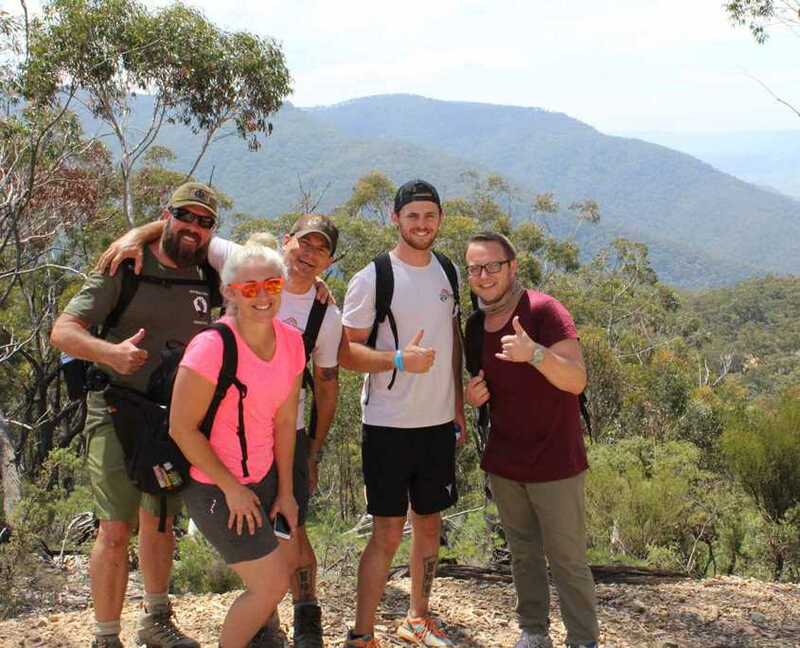 Let by expedition leaders, Shane Pophfer and Darren Wise of Peak Potential Adventures, the 6 Foot Track Trek took myself and a small group of adventurers along a trail blazed by Gregory Blaxland, William Lawson, and William Charles Wentworth in 1813, as part of their journey across the Blue Mountains. The trail itself was beautiful. There was lush scenery, as we carved our way up the mountains, and down into valleys, travelling from the magnificent Jenolan Caves right through to Katoomba. We saw little rivers, and were captivated by the wildlife, with birds, wallabies and even wild cows making their homes in the mountains. Despite the beauty, 45 kilometres is a tough ol’ slog, even across two days. On day one, myself and five other wannabe adventurers arrived at Katoomba to meet our guides and the team. We were bright eyed and bushy tailed, despite arriving at Katoomba for 6am. From Katoomba, we drove across to the beginning of the 6 Foot Track at the Jenolan Caves. Arriving at Jenolan, I was in awe of the place. The natural land formations, and the way the morning light broke through and lit up inside of the caves was fairly breath-taking, as was the beginning of our hike, albeit in a very different way. 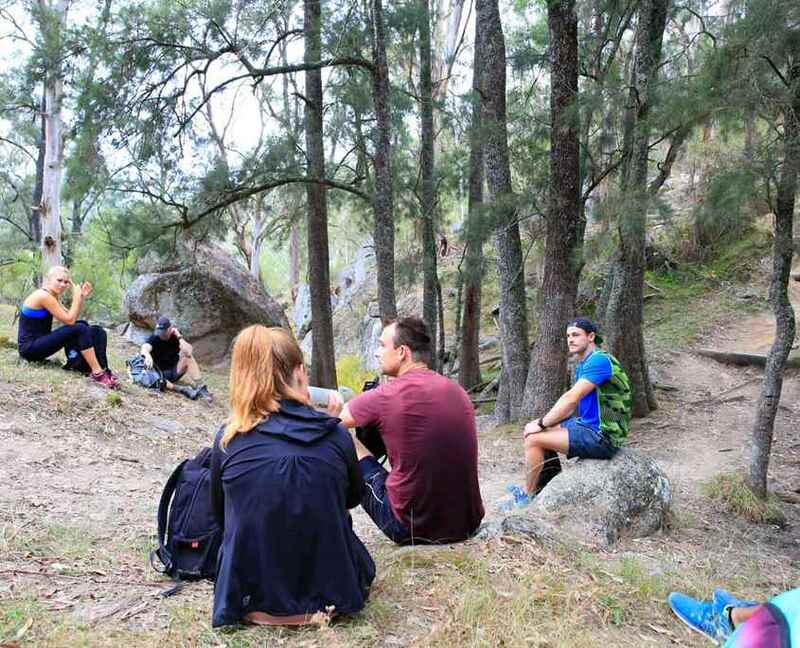 We started on the trek, leaving from Jenolan Caves at around 7:45–8am on Saturday morning, getting on our way to an Eco Lodge rest stop at Coxs River, about 30 kilometres away. Day one was intriguing. We got to see so much, and everyone chatted away, happy to be out on an adventure. Like every adventure though, the trek had its challenges. It wasn’t quite a stroll in the park, as at points along the trail, we were forced to walk up hills, and then down again into valleys. Early on in the piece, it was nice when the downhill sections came up. They’d give you a chance to catch your breath and to enjoy some of the scenery. However, as the journey continued and the aches and pains began to set in, I started to detest the downhill parts. However, I pushed through, and I’m glad I did. 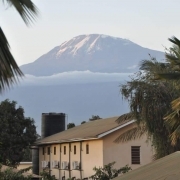 On, that first day, we worked hard, pushing ourselves close to our limits, until at one point, around 20 kilometres into the trek, we came upon what our expedition leaders called Heartbreak Hill. It was a series of steep hills, that never seemed to have an end. We just walked up, and then up, and then up, and it truly did break your heart. However, upon reaching the peak of heartbreak hill, the views were glorious, and I was awash with an overwhelming feeling of achievement. It was brilliant. From Heartbreak Hill, we continued, mostly downhill, until we came to the Eco Lodge at Coxs River at around 4pm, and I tell you what, the Eco Lodge was certainly a sight for sore eyes. There are bunk beds with all blankets and pillows provided, and believe me after a 30-kilometre hike through the mountains, a bed is a very welcome sight. There is also a pit toilet, and after having to hold on all day, unless you were some of our team, who were happy to dig a hole while on the trek, a pit toilet (despite the smell) is an absolute luxury. Near the Eco Lodge, there were a few private pools, and being the nice guy that I am, and being part of a nice team of adventurers, the young couple who run the lodge took us down to a secret spot, and allowed us the opportunity to relax and clean the dirt and pain from the day off. The rocks, made of a naturally occurring granite also trap some of the heat from the sun, so we were able to relax, and take full advantage of a sneaky, naturally occurring hot rock treatment, which was really well received. After day one, the Eco Lodge helped heal and relax the body, bringing me back to life and after a great night sleep, I was ready for day two. We were up early on day two, and hit the trek at around 8am, with the knowledge that there was only around 15 kilometres left. About one kilometre or so into day two, we came to our first real challenge of the day, a swing bridge, which was situated around 15-20metres above the flowing water beneath. Personally, I’m fine with heights, and was keen to tackle the bridge. In fact, it was one of my favourite parts of the trek. It bounced and swung ever so slightly, and for the avid photographers on the team, it made for some great pictures. However, not everyone was quite as okay with heights as I was, and we had a few worried faces crossing over. For some of the team, the bridge was one of the realest challenges on the 6 Foot Track Trek. From there, we moved on, eventually coming into the beautiful Megalong Valley. Now, if you ever travel to the Blue Mountains, I vigorously recommend acquainting yourself with the Megalong Valley – it is mesmerising. An open valley among mountains, littered with gorgeous fields and open spaces, as well as naturally occurring small creeks and river systems, it is a wonderful place. 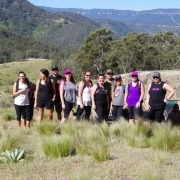 As the name might suggest, Megalong, is just that, “mega long” and we trekked through it for quite some time on day two. 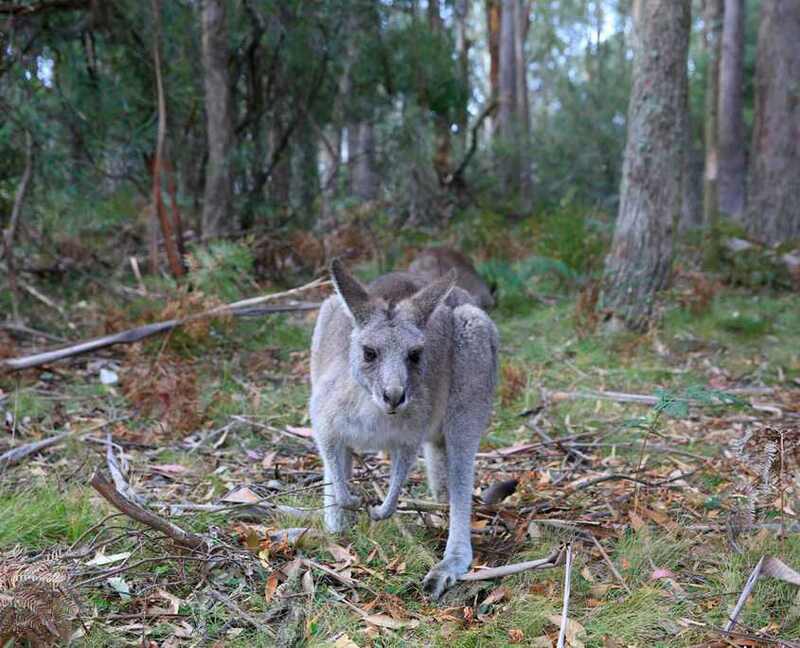 In fact, after Megalong, we only had a few kilometres until our final destination, and Katoomba. As with many challenges, the hardest part of the journey is right at the end, and the 6 Foot Track trek was no exception. Darren and Shane had both warned me throughout the journey about “Dummy Spit Hill”, which basically made up the last kilometre of the trek. The name is a little deceptive, as “Dummy Spit Hill” is not really a hill, but rather a ridiculously steep set of stairs that climbs up the side of a mountain. It was by far the hardest part of the trek. My legs wanted to give up, and I must have drank close to three litres of water making my way up that staircase. It was tough. However, I don’t often get to feel the sort of elation I was thrilled to experience once I reached the top of those stairs, and made my way to the end of the trek. The 6 Foot Track Trek was definitely a challenge that pushed me. I felt uncomfortable and worn out along the journey, but I also felt excitement and life. It was an awesome adventure and something that I will remember for a long time yet, and it was in my own backyard, which is really just an added bonus. Next time, you feel as though you need an adventure, but need something close, and attainable, I would highly recommend pushing yourself and tackling the full 6 Foot Track, right here in Australia’s beautiful Blue Mountains.